“Like spelunking in a boat.” That’s how I described a unique kayaking trip this week. 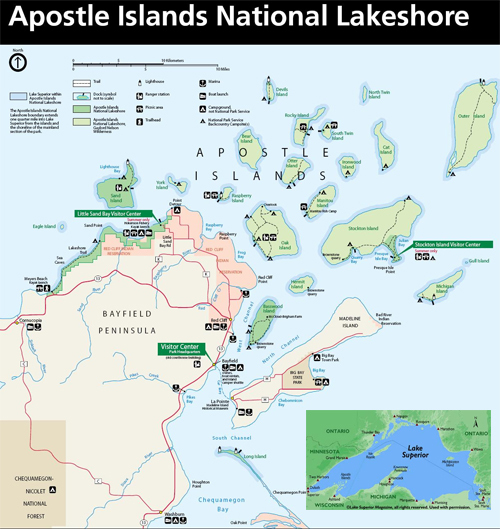 The venue was the Apostle Islands National Lakeshore on Lake Superior in northern Wisconsin. 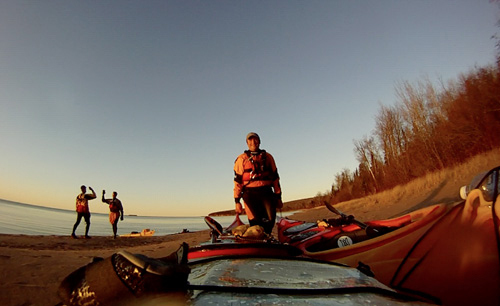 The occasion was a day-long paddle and video shoot with North Shore Expeditions, a guide and outfitter based in Grand Marais, Minn. 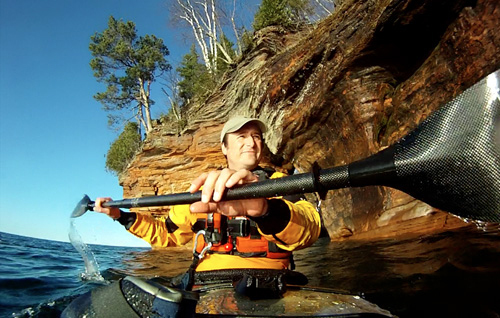 The trip started near Bayfield, Wis., where we put in on Superior with three boats. A mile-long stretch of sandstone caves down the shore was the destination. While “spelunking in a boat” was an exaggeration, the experience did see my group skimming along high faces and ducking into enclosed caverns where the sunlight faded to black. Ice sat in corners of the caves, where on the water it was sunny and near 50 degrees F. There were sea stacks and tight passages in the rock. Little channels through the worn stone demanded exciting no-paddle moves where you had to push off the rock with bare hands. T.C. Worley filmed the whole experience, which will debut in early May as episode No. 2 in a video series we’re launching this month. 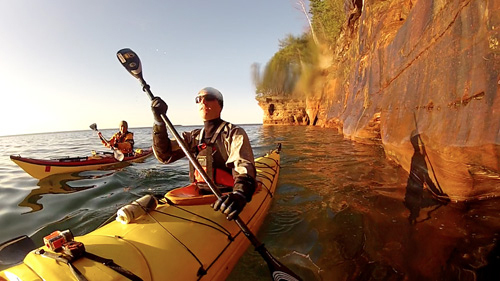 Check back soon for more details on the Apostle Islands adventure. In two weeks we’re set to launch our “Off The Map” micro-site, a special channel that will be sponsored by Yakima and feature content and videos on five unique adventures around North America this spring and summer.